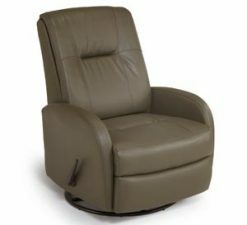 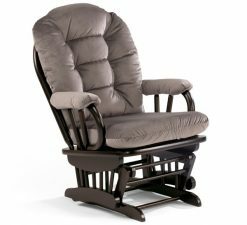 Built with a durable hardwood frame as all Best Chairs products, this model features a smooth, straight back with a slight roll at the top. 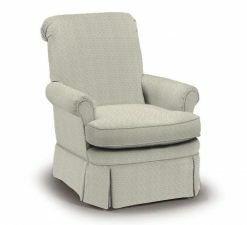 The seat cushion is soft, yet sturdy, cushion wrapped and reversible. 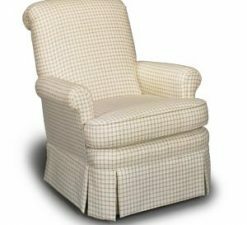 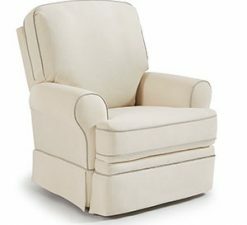 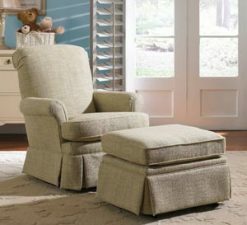 This nursery swivel glider is accented by a pleated skirt and cording. 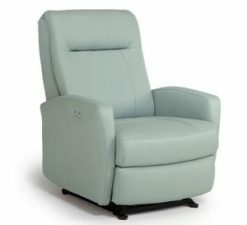 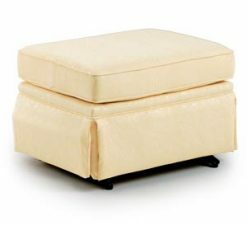 Complete your room setting with the matching glide ottoman.